Shanghai Portman Ritz-Carlton Jazz Bar is undergoing 2 months renovation. 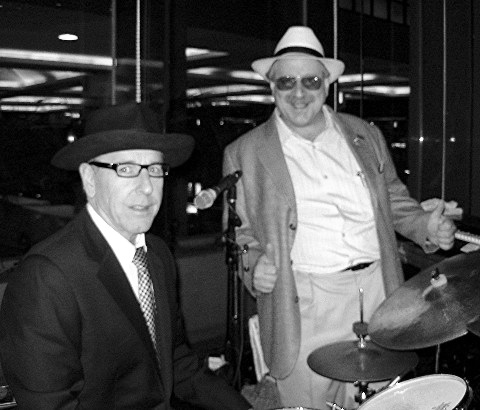 Jazz will be back in 2 months with Danny Woody and Band! 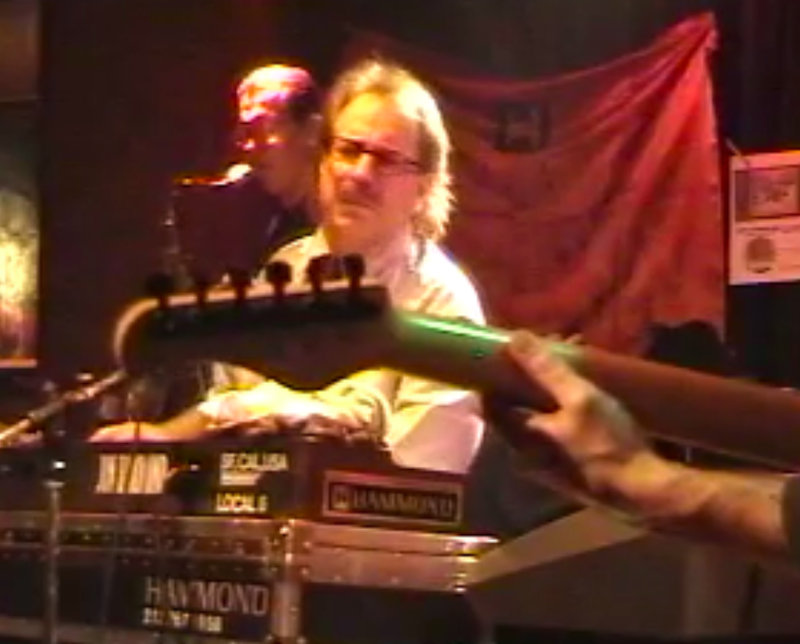 MOVIE: ‘Easy Living’ jazz ballad, Jon Hammond – organ, Danny Woody – drums, Donald Jackson – bass, Billy Marcus pno., Claus Rueckbeil gtr. 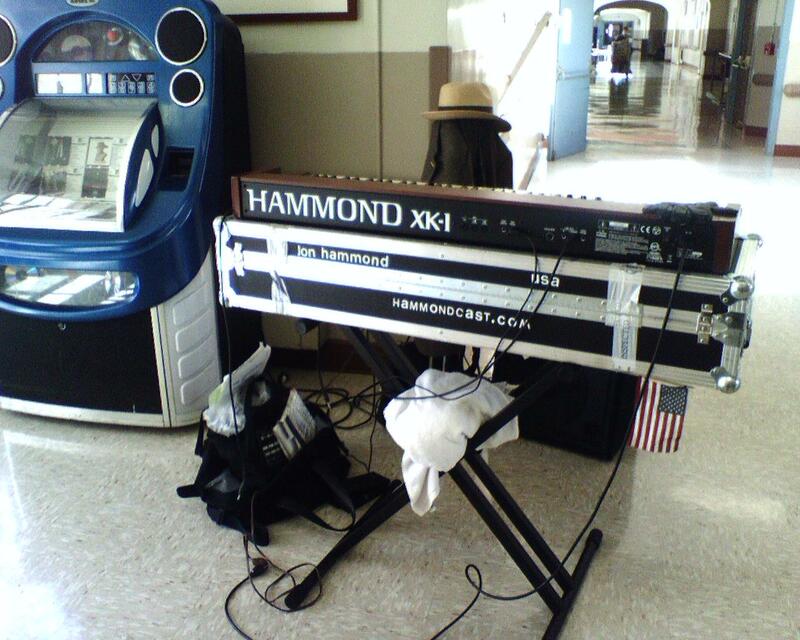 One of the Musical Performers we get here at Laguna Honda is Jon Hammond. He has been playing here for quite a long time. He would mention in passing, between songs, some celebrities that are household names. It was done in such a way that it sounded as if he had met some of these people. Come to find out, he had. Another he enjoyed had been Cab Calloway. This was after his re-emergence from the “Blues Brothers” movie. He mentions as one of his non-musician guests to be none other than Andy Warhol. It seems that Andy was interested in the computer Graphics and Artwork that jon and his crew used on the Show. Though he plays a “jazz organ” on his CD’s and with his Band, Jon has been banging on the piano from about age six. When the Beatles came on the scene in ‘64, Jon with most others his age, decided to become a “Rock” star. He tried his hand at this. He had some groups ranging in name from “Hades” to “Contraband”. He becomes thoughtful at this moment. “‘Contraband’ was a pretty good band.” At age thirteen he got his first electric-accordion. Jon has a small collection of accordions – mostly electric. He has inked a deal with Excelsior, and plays their accordions exclusively. He also notes that eBay the computer sales website is a good source if you know what you’re looking for. Jon mentions that he will be playing accordion for Broadway’s own “Fiddler on The Roof.” “Whenver I learn the book.” He says it is about as thick as a telephone book. His latest group is made up of the “Late Rent Session Men”. 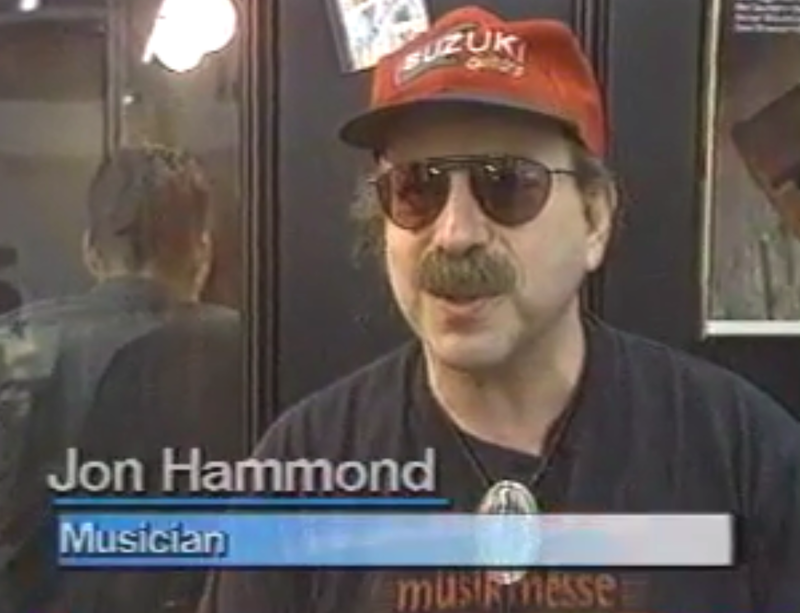 As the name implies, whenever Jon is a little short and behind on his Rent, his landlord takes some music in trade. Jon plays every month at Laguna Honda. Look for the fliers and catch his show. I asked him why someone who trots the globe makes such frequent stops at Laguna Honda Hospital. He says, “Well, my Father was a Physician. My Grandfather was a Physician. I’m a Musician. I like to see the people smile.” Jon does his “therapy” in another way. He hopes to be one of the first performers when they build the “New Hospital.” Happy New Year. 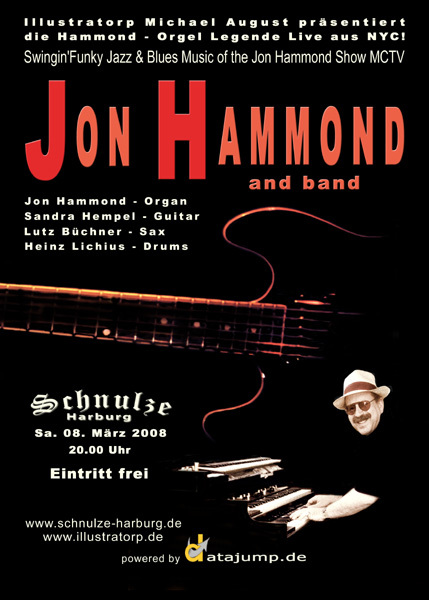 Schnulze die Kneipe Party: JON HAMMOND Band in Harburg March 8, 2008 ! Haunting melody composed by organist Jon Hammond in key of G minor, came during a trip to Shanghai China while playing a jazz gig in Portman Ritz-Carlton Hotel. 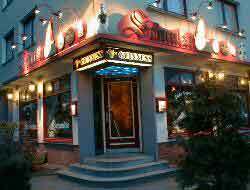 ‘Song Without Name’ played by JON HAMMOND Band in Jazzkeller Hofheim in Hofheim-Taunus Germany with guitarist Joe Berger and drummer Heinz Lichius aka Ham-Berger-Heinz. Announcing CONTEST for name for song, winner gets credit on next CD and 10 pieces of the CD. 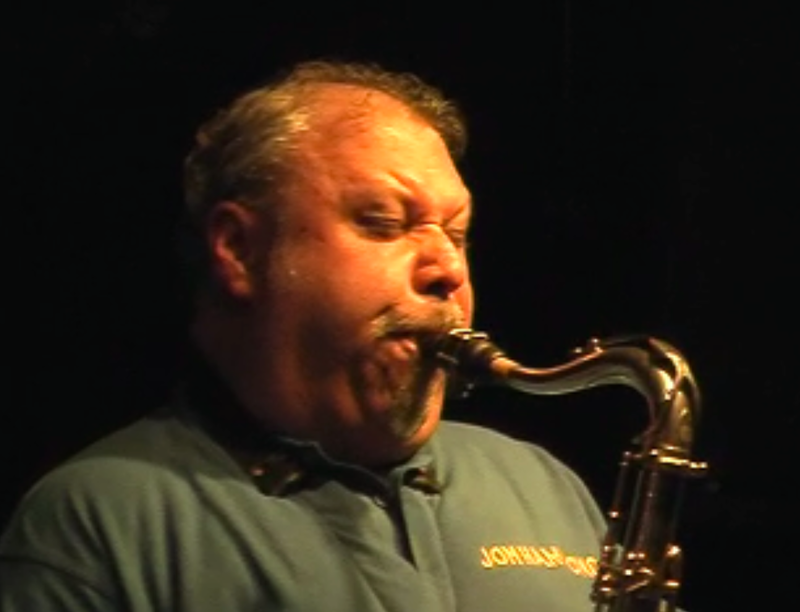 You are currently browsing the Hammond Jazz blog archives for December, 2007.